We’re back home from our trip to Australia. After cooking for 4 weeks in a very small primitive kitchen inside a camper van I was really looking forward to cooking in my own kitchen again. During our absence, the wooden floor in our living room and ground floor has been sanded and varnished to make it look as good as new again. It was convenient to have this done during our absence, as all the furniture needed to be removed and the varnish needs to harden for a few days before you can walk on it again. 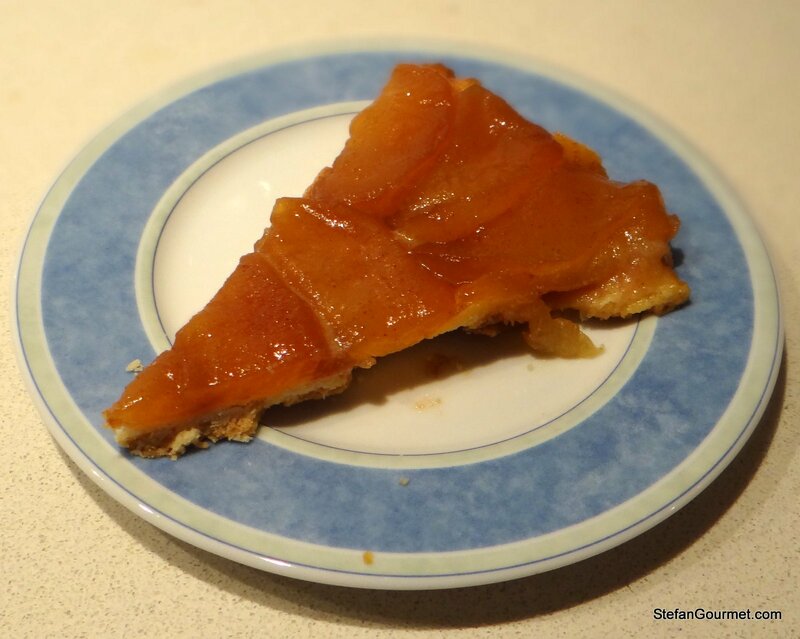 Since a lot of my supplies and equipment are stored in the garage and cannot be reached easily and it’s always difficult to cook in a strange kitchen, for dessert I resorted to this ‘cheat’ to make something that is like tarte tatin, but a lot simpler to make.